Plain and simple, critics adore Grizzly Bear. The Brooklyn foursome draw from a bevy of treasured older influences (Beach Boys, Nick Drake, the Band, and Crosby, Stills, and Nash) and newer ones (experimental-period Wilco and Radiohead) without ever practicing outright mimicry. Fluent in rock, folk, and jazz song structures, they ooze with multi-instrumentalist talent (you’ll find Wurlitzers, a bass clarinet, a flugelhorn, omnichords, melodicas and something called “The Wheel” in their albums’ liner notes), while creating the sort of intelligent, intricate, soaring pop music that writers crave to reflect upon. Veckatimest (2009) was a rich tapestry of baroque pop and art rock psychedelia that every trendy media outlet from NPR to Pitchfork to the Village Voice swooned over. In many ways, Shields is an even better follow up. But it’s not quite that simple. In spite of its pristine production and myriad of sonic textures, Shields is curiously short on the kind of memorable hooks that Grizzly Bear proved they could write on Veckatimest — you won’t find anything like the piano riff from “Two Weeks” or the transcendent vocal climax on “While You Wait for the Others.” This may be intentional since Grizzly Bear focus more on atmosphere than hits, but the selfish listener in me wants a track or two that reliably delivers the pulse-quickening goods a la carte. Shields resembles lovely, rolling countryside as observed from a seat on a fast-moving train. It’s gorgeous and captivating while it floats by, but by the end of the trip, you remember less than you had hoped. Opening one-two punch “Sleeping Ute” and “Speak in Rounds” are the closest things Shields has to defining landmarks. Guitarist/singer Daniel Rossen pulls out all the stops, laying down a barrage of pedal effects, barking Silvertone riffs, and a wall of strummed acoustic chords. Christopher Bear’s snare work is both forceful and finespun. Out of nowhere, warm synthesizer tones shoot up and down the melodic scale, a flute trills marvelously beneath the din. At the finale of “Sleeping Ute,” Rossen bears his conflicted, restless soul. “And I live to see your face/ And I hate to see you go/ But I know no other way, Than straight on out the door.” It’s a theme that repeatedly crops up in Shields — a steadfast refusal to bend your will to forces outside of you. For those who criticize Grizzly Bear’s older albums for being somnambulant, Shields should alleviate that perception — mostly. “Yet Again” and “A Simple Answer” feel like hand-blown melodic glass shapes — spacious, exquisite constructions that balance elegance with wobbly creativity. 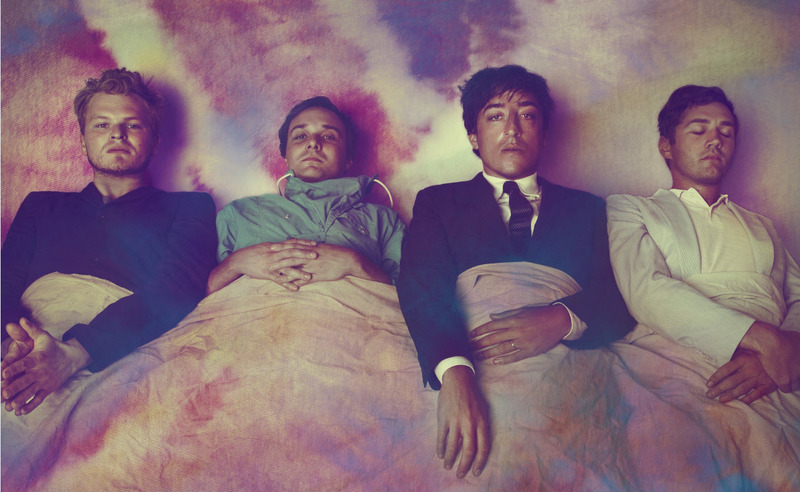 The sum total of their parts is light years beyond the sparse bedroom arrangements that Ed Droste laid out in Grizzly Bear’s debut album Horn of Plenty (2004). However, during Shields’ second half, the rolling countryside effect kicks in and things get a little blurry. “What’s Wrong,” “Gun-Shy,” and “Half Gate” all sound fantastic, but there’s less to distinguish these songs from one another, and I couldn’t tell you the meaning behind any of them. This touches on another dilemma — Shields’ enigmatic lyrics. It feels incongruent that Grizzly Bear paint their sound with such intimate, finely-wrought detail while rendering their lyrics in broad, sloppy brush strokes. Lines like “Your face is a desert” and “If I draw you upside down/ I can’t let you go” are evocative but obtuse, almost purposefully keeping you at arm’s length. It’s not as lazy as Bon Iver’s homemade linguistics, but nearly as frustrating. Although a track like “Sun in Your Eyes” intrigues you with its enchanting phrase: “Silver and silent rushing on/ Endless abundance overflows,” the song inexplicably ends with Rossen’s final rebuttal: “I’m never coming back.” I really wish I knew why he’s not coming back and what he’s leaving behind. A few more literal lyrics might have helped ground the record’s amorphous imagery and given it more emotional resonance. For the second time in three years, Grizzy Bear come real close to greatness. Veckatimest showed they could write excellent hooks, and Shields reveals their exceptional studio proficiency and attention to aural detail. If they manage to combine both of these gifts into one record, they’ll achieve the stature so many critics believe they are almost entitled to based on their ability alone. And if it sounds like I’m circling blemishes on a Miss Universe beauty pageant contestant, it’s because I am. 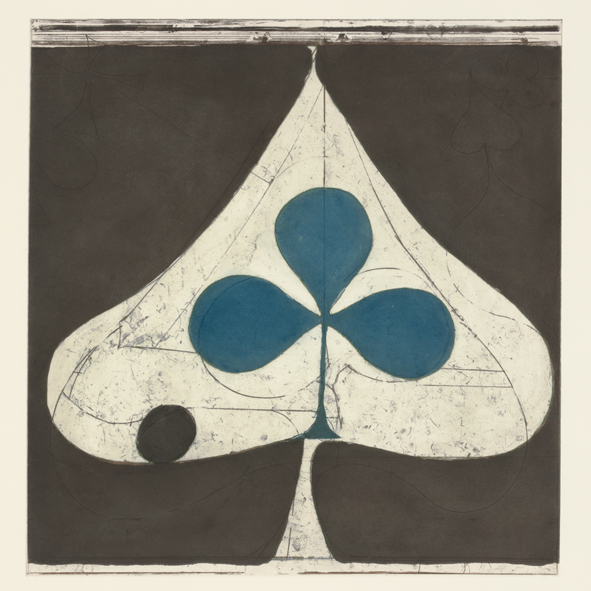 Grizzly Bear has the potential to create an album that stands alongside the masterworks of the all time indie music greats. Their best effort, I hope, is to yet to come. It’s said that God often speaks in a whisper. So to does Grizzly Bear. They create pastoral, almost spiritual music — the kind of sweeping chamber pop meant for gazing upwards in awe at ornate cathedral ceilings. To appreciate Shields’ subtleties, you need to eschew immediate gratification, be still, and absorb the songs over time. But every once in a while, God pulls out the bullhorn, too, and produces a miracle that just about knocks everybody’s socks off. Hopefully, some day Grizzly Bear decides to do the same. Because, quite frankly, when you’re capable of making music that shouts from the mountaintops, it practically becomes your obligation to do so. One of the best reviews of ‘Shields’ I have read on the net. Im looking forward to your 2012 End of Year List! Greetings! Thanks Elvira, I appreciate it. Best of 2012 is shaping up to be a diverse and interesting list. Look for it sometime toward the end of December. This entry was posted on September 24, 2012 by Jeff Goodwin in Grizzly Bear, Reviews and tagged Chris Taylor, Christopher Bear, Daniel Rossen, Ed Droste, Grizzly Bear, Sleeping Ute, Speak in Rounds, Two Weeks, Veckatimest, While You Wait For The Others, Yet Again.